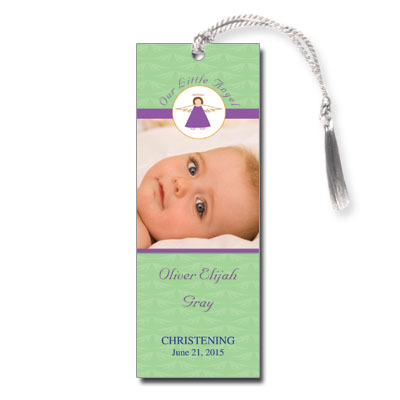 Light kelly green and vivid purple compliment navy type in this Christening bookmark. A drawing of an angel hovers above a photo of your little one, with name and Baptism date printed underneath. Measures 2x5.5 and comes with white satin tassels; light assembly required.